Messaging is the way to communicate with friends and family. In earlier days, text messaging was very popular. However, nowadays traditional SMS popularity has gone, due to the new raised instant messaging apps. 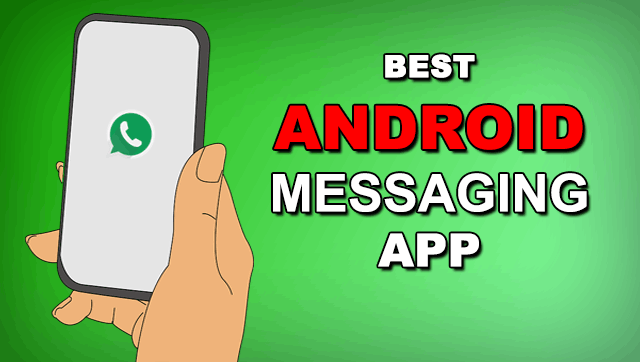 There are thousands of text messaging apps are available, and today we learn about 10 best Android messaging app in 2019. A text message takes time to deliver, but instant messaging uses a third-party software to deliver messages in real time. There is no way to know about the receiver is nearby the phone or not in normal text SMS, but in the case of instant SMS, you can easily know who is online, the message delivery time and many more in real time. Android instant messaging app is not only capable of sending the text but also can send multimedia files live images, videos, audios, and some of them allow the user to send document files. Let’s discuss the best messaging app for Android. 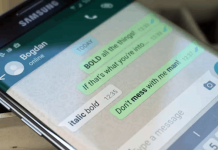 Whatsapp is the best Android messaging app, which is used widely in all platforms, including Android, iOS, Windows, and Blackberry. It uses your existing phone numbers for messaging who has already WP activated, so you don’t need to add contacts manually. It uses the fastest cloud server to send media files like images, music, videos, and it also allows the users to make calls in minimum data usage. WP is free for the first year, from the next year you have to pay $. 0.99 per annum to use this app. There are a lot of features in this app and increasing every month. You can check them here. Telegram is fast, secure, reliable and even no subscription charges for the use. It is mainly aimed squarely at the security conscious user. It features fast encrypted chat messaging, which uses client-server architecture to deliver a message. It allows the users to set their own username for further use. 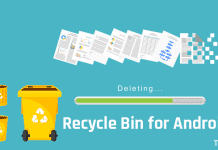 You can send any type of file by message; it may be a multimedia file or a document to a person or a group – up to 200 users. You can also set a message to self-destruct mode so that it’s only readable for a short time before disappearing from both phones. It is no doubt, that Facebook is the largest social networking website. That means the users of FB is bigger than other social networks. Facebook Messenger is one of the best Android messaging app to reach your FB contacts directly on your mobile. You must have use two apps to see Facebook’s timeline posts and chat; that’s why many people hate it. But, it has many unique features for diehard facebookers. The popular function in this app is, “Chat heads,” which pops up in the screen to allow you to chat even when other apps are on-screen. Line is one of the best messaging app for Android, iOs, Windows, and PC over 300 million of users worldwide. This messaging app is a combination of social media and text messaging features. It allows the users to post texts, stickers, multimedia files in their timeline, as well as they can send messages to users and in groups. The video calling feature makes it unique among other best text messaging apps. The line is kind of like Twitter, Facebook, and Skype, all rolled into one. Now it is available for Android Wear and the Apple Watch so you never miss a notification. WeChat is the best instant messaging app, provides the users with free mobile instant messaging, video and voice calling, group chatting, and multimedia messaging. This app has some unique functionalities to find friends quickly, like “Friend Radar,” “People Nearby” and “Shake”. Every month it arranges a reward program to give attractive gifts, like mobile recharge, coupon codes to attract users. Including Android and iOs, it is also available for Android Wear and Apple Watch. If you have ever used Google Chat in Gmail you know how easy it is to use. Hangouts is a mixed SMS and IM app, that differentiates the two kinds of messages, but can be used to instantly place voice calls and video calls from your cell phone via Hangouts rather than standard carriers. Its video calling quality is arguably better than Skype’s. Skype is Microsoft’s product, which is widely used for voice and video calling and available for both PC and mobile platforms. It allows the users to send text, photos and even short video messages to other Skype users even when they’re not online. Not only the general people but also companies use it to deliver a presentation or communicate with clients. It is a great way to communicate with people across the world. Blackberry Messenger as short as BBM is the best text messaging app for Android. BBM is for only Blackberry platform devices, but in 2013 it released its Android and iOs version. It allows the users to send free text messages, voice calls, photo, file, and location. BBM has the capability to choose who can message you, rather than it being available to anybody with your number. Viber is a fully featured best Android messaging app, which allows the users to send text messages, group messages, and calls. It had mainly made for voice calls, but now it is a best messaging app for Android with all around functions. It has tons of free and paid sticker packs to download and send them to users. 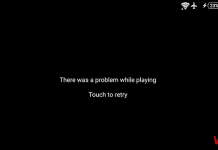 It is a lightweight app and becoming popular these days. IM+ has been using for many years back. I have remembered, that when I had a Nokia java phone, I was using it. It is the best text messaging app for Android to communicate with people from different social networks. You can use it as Facebook messenger, Google Talk, Yahoo chat, Windows Live messenger and for many other networks. All the above lists are the best Android messaging app in 2019. If you are using any other app instead of these, then feel free to share with us. Thanks for stopping by. Nice to see you again.